New expatriates, welcome to China! Find a free and nice flat in Beijing can be complicated. I searched during several weeks before moving in to a nice 1 bedroom flat in Phoenix City (凤凰城 – Feng Huang Cheng) Sanyuanqiao, Est side of Beijing. I have been in this apartment since 3 months then I get used to the daily life problems. 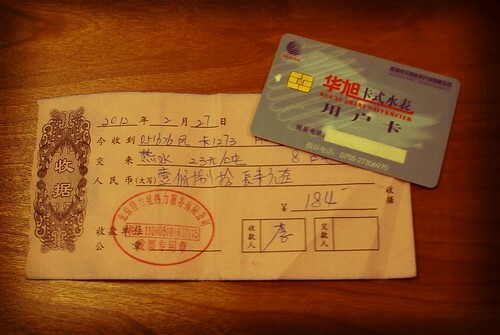 Indeed, the day I moved in, I discovered new strange thing about life in China and new incoming problems: usage of meters and smartcards. I expected to get one card to open the front door of my building and the key of my apartment. Surprise, the owner gave me the key and 5 different smartcards. Then, she showed me all different meters of my personal apartment (electricity, water, gas…) with the smartcard readers. 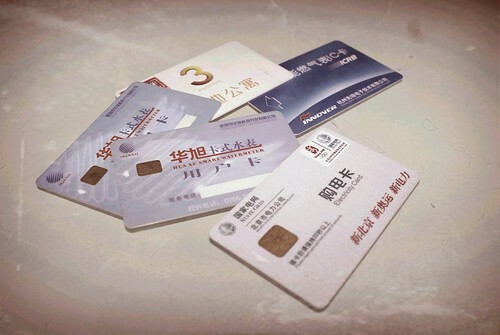 In China, all utilities used smartcards. As soon as the limit is reached, electricity or hot water is cut. As everything is complicated in China, the refill system is completely decentralized. Each utility get a different office. Electricity is available in a small supermarket closed to my place. They got a card reader where you can provision your smart card with your bank credit card. Gas is available on specific Gas company office. I didn’t use Phone card as I didn’t subscribe for fixed phone line (only Internet connection that I paid for one year through my retail agent). Hot water refilling is only available on Mondays at the residence office. Something that everybody needs to take into consideration to avoid bad surprise is the limit is reached on a Tuesday. Cold water is available in the same office every day of the week. I still don’t understand why hot water is only rechargeable on Mondays. I didn’t have big troubles yet as I took into consideration the rules and anticipated a bit. I got no hot water last sunday so I was lucky to charge it again on Monday. I repeat my introduction which summarizes this situation: New expatriates, welcome to China!